The last post of this series took a look at Gen 1 from the perspective of Hebrew narrative and we saw that the chapter has a grammatical structure giving strong indication that this is a narrative text. In this post, however, we’re going to look at the poietic shaping of this text and see how it contributes to the meaning the author intends to convey. You’ll notice that my visual metaphor bears some resemblance to a timeline. Let me suggest that there is likely no such thing as an episodical narrative in all of the Old or New Testament. For sure there is no biblical book, not even Chronicles, that comes anywhere close to being an episodical narrative. Every book of the Bible, narrative or poetic, has some kind of shaping that helps us to understand the author’s intent in writing the book. With that in mind, let’s take a look at the poeticshaping of the Gen 1 creation account. There was a time when I thought that if I could read the Psalms in their original language then I would be able to see the rhyme and rhythm (or meter) hidden in these awkward “poems.” Since then I’ve learned some Hebrew and discovered that Hebrew doesn’t usually rhyme and likely doesn’t have much rhythm either. So what is poetic about Hebrew poetry? Here you have the same essential thought communicated in two adjacent lines. The fact that it is not exact shows that Hebrew parallelism doesn’t merely repeat but builds one thought on another. This is basic parallelism but there is a myriad of ways that Hebrew authors exploit parallelism to shape their texts. For example instead of having near synonymous lines, they could be antithetical. Instead of having parallel words or thoughts, they could build parallelism around any number of grammatical features (gender, definiteness, morphology) or even sounds. We can also have a kind of syntagmatic parallelism where the first and second lines work together to create one complete thought. Authors can also build more complex patterns such as an A-B-C-B-A pattern where each letter represents a line and where the A lines are parallel, the B lines are parallel and the C line serves as a highlighted thought. Or they can build an acrostic where each line begins with a letter of the alphabet starting with the first letter of the alphabet and proceeding all the way to the last letter. Perhaps the most famous example of an acrostic is Psalm 119. In Psalm 119 there are 22 separate poems building one big poem. In the first poem (Ps 119:1-8) each line begins with an aleph (the first letter of the Hebrew alphabet). In the second poem each line begins with a bet (the second letter) and so on through the whole alephbet. The whole thing together gives a sense of thoroughness, completeness, and determination. If you read the psalm you can see how the structure contributes to the overall idea of the psalmist’s desire to make God’s law a part of his life through and through. Psalm 119 is a good example of the fact that the form is just as important as the content in terms of communicating the sense of the text. Two thousand years ago the angels sang in heaven so everyone in the world could know the coming of the King. What was too good to be true was received by only a few who heard the angels and knew the coming of the King. the coming of the King. The original Greek word from which our word poetry comes is poiesis and it means “to make.” In Plato and Aristotle poiesis gets explained as the creation of something that was not there before and is usually related to art (techne). Aristotle, for example talks about poiesis in the making of plots (muthoi). An important facet of poiesis is that form and content work together to create meaning—just as we saw in Psalm 119. This is why it’s appropriate to apply the idea of poiesis to the shaping of words, or “wordsmithing,” “word-working,” in order to produce a new perception (meaning or emotion) of reality. When we look at Genesis chapter 1 in this way we’ll find that we have a shaping of words to create a new perception of reality. Gen 1 is poetic! But how so? The heavens and the earth and all their host were completed. God completed on the seventh day the work which he did. He rested on the seventh day from all his work which he did. and he sanctified it for on it he rested from all his work which God created to do. If you look over 2:1-3 on its own you will see that there are various repetitions or parallelisms shaping the text. Notice the repetition of “to complete,” “the seventh day,” “work,” “he did” (the same word appears in “to do,” and finally “he rested.” But in comparison to Gen 1:1 we also find some deliberate shaping in that we have here repeated the three main ideas from Gen 1:1 (Wenham notes that they are in reverse order). Because Gen 1:1 and 2:1-3 are connected through their parallelism, they create a sort of envelope around the whole text separating off the six days of creation and giving a sense of completion to them. Again, form and content are working together. Genesis 1 is well known as a text that masterfully combines both prosaic and poetic features. We saw the prosaic or narrative features in the previous post in this series when we talked about a verb sequence made up of a qatal verb which gives the background information and which is followed by a series of wayyiqtol verbs which form the backbone of the narrative because they indicate the main events taking place in time. Now, for our poetic analysis we want to look just at these wayyiqtol verbs that appear in the six days of creation (Gen 1:3-31) and see how their arrangement gives us some clues as to how Moses has shaped the text. First let me note that not all of the verbs in the text are wayyiqtols. For example in Gen 1:5a the translation reads “God called the light ‘day’ and the darkness he called ‘night’” In this sentence only the first verb (God called) is a wayyiqtol and carries the main action. In a sense, the second clause (the darkness he called night) is complimentary, or subordinate, to the first in a way that doesn’t come through in English. Together these four wayyiqtol verbs create the structure of the six days of creation. So now let’s take a look at that structure. Now this is certainly not perfect repetition of A-B-C-D on each day. But that’s OK, that’s not necessarily what we’re expecting. In general, we can say that there is a sequence of first A, then B, then C and finally D. The exceptions are that on day 2 the C phrase is missing and on day three, interestingly, the sequence doesn’t come to an end with D, but starts from the beginning, goes through the whole sequence a second time and then comes to an end with D.
Now that we see what’s happening on days 1-3, let’s take a look at days 4-6. Now that is not a coincidence. The inexact repetition of days 1-3 repeats exactly. Of course there is the fact that instead of missing phrase C on day 5 we are missing phrase B. I’ll explain that in a little bit. The thing to take note of here is that, sure enough, some author has “worked” these words into this kind of order. It didn’t happen by accident. The question is, Why? Is there something he’s trying to communicate? I think there is. The author has put this structure here in order to give us a clue as to how he wants us to read the text. You see that the structure orders the six days of creation so that days 1-3 are one group and days 4-6 are a second group. Remember that. Another thing we notice about this structure is that day 1 is like day 4–we would say these days are structurally parallel. 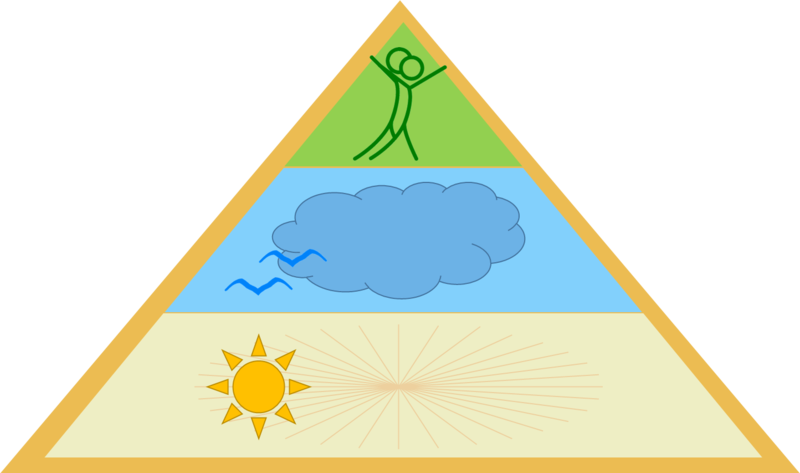 In the same way, days 2 and 5 are parallel, as are days 3 and 6. When we look at days 1 and 4 I think we can see there is some kind of relationship since both days have to do with light. It might be hard for us to think about the specific way in which these days are related but let’s move on to days 2 and 5. Here again, there’s clearly a relationship. Fish live in oceans and rivers, birds live in the sky. So on day 2 God created the environment for the works he created on day 5. Actually, maybe that’s how the Hebrew reader might have understood days 1 and 4 as well. Maybe light was the kind of environment for the sun, moon and other heavenly lights. Yes, that seems to hold pretty well for days 3 and six. On day three God created dry land and vegetation which is the environment for animals and humans. So now by following the author’s structural cues we can see that on days 1-3 God created the environment and on days 4-6 he created the objects that he placed into that environment. This particular interpretation of Genesis is often referred to as the “forming and filling” interpretation. But before we move on, let’s take another look because the structure we noted earlier has another feature as well. Not only are days 1-3 parallel to days 4-6 but there is a kind of movement from days 1 to 3 and then from days 4 to 6 and even from days 1-6 as a whole. For example, we noted that on on days 3 and 6 the sequence that we noted doesn’t come to an end after one go through. Instead, before ending, it starts again from the beginning and repeats the whole sequence before coming to an end. In other words, these days have two distinct acts of creation. So within days 1-3, day 3 is the climax and within days 4-6, day 6 is the climax. We can see this kind of movement in other ways as well. 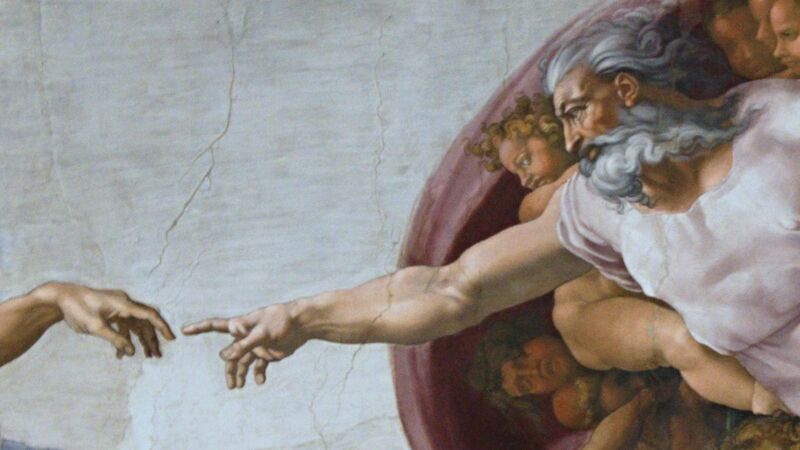 For example there’s a kind of dramatic way that the text describes the creation of humans. Instead of just saying let there be man, or even let the earth bring forth…,” he seems to announce to all present just what he is going to do. “Let us make man in our image…” And of course, people are made in the image of God. That is very different than all the other creatures. Finally, when God completes the creation of man he makes a final “it is good” statement but this time he says, “it is very good.” In other words creation has come to a climactic end and humanity is the pinnacle of his creation. That gives us something to meditate on. You can imagine all kinds of implications that readily arise from this in terms of the significance of who we are, who God is, how we relate to him, and how we relate to creation. Think back to our visual metaphor that we suggested for an episodical reading of this text. How well do you think this metaphor succeeds at capturing the meaning of this text? When describing Gen 1, Richard Averbeck likes to use the visual image of a nest. He gets this from verse 2 where the text says that “the Spirit of God was hovering over the waters.” That word “hovering” is used only two other times in Scripture, one other time in the Pentateuch where it describes an eagle protecting its young like Yahweh protects his people. I think this metaphor takes us in the right direction. Creation is a place where people dwell in God’s creation, which he has prepared for us, where we experience his blessing and protection. In the next post, I’ll give a different metaphor and explain how that metaphor put even more emphasis on this picture of creation.For now, it’s important to realize tat what we have here is not so much a story of where things came from, as much as a story of how they are ordered, that is, their relationship one to another and to their creator. To close of this section I want to point out how really important it is to recognize the poietic shaping of a text. Poetic shaping is much more than just giving the text a nice pleasant form or the calling forth of emotion. In an episodical narrative (this happened and then that happened) we have nothing more than the chronicle or bare record of events that occurred in the past. There is no assertion or construal of a relationship between those events. We might think of an episodical narrative as a window to the past because its goal is to give an accurate account of events from the past. But when we read the Bible we are looking for something more than just an accurate account of what happened in the past. We are looking for an interpretation of those events. That’s why biblical narrative is not a window to the past, it’s a painting to the past. It provides not only an accurate depiction of what happened, it also interprets the events it portrays and tells us why they’re important for us and what impact they should have on our lives. Think about the difference between a window and a painting. A good window is one so clear and so clean that you do not even notice that you are looking through it. A window is supposed to be as “not-there” as possible. The good thing about a window is that you see the events “just as they were.” The weakness of a window is that it merely shows us what happened. We have to do our own interpretation of the events. A painting is different. You don’t look through a painting, you look at a painting. You don’t directly study the events in the past, you study the colors, the composition and the lighting. Each of those elements of painting are used by the painter to create an interpretation of past events. Think about how significant this is for Scripture, which is inspired by God and has his authority. If the text is like a window to the past that conveys only information about what happened, then it is only the accuracy of the account that is inspired and has God’s authority. But if Scripture is like a painting, then not only the accuracy of the events have God’s authority but also the interpretation of those events. it conveys truth not only about what happened, but why it happened what it means for me today. The disadvantage of paintings is that they are not usually as accurate as windows. When the author shapes the words of the text to fit his interpretation, he moves them around and they are somewhat loosened from the actual events of the past. Does that mean that the text loses accuracy? Most emphatically, NO! I definitely believe that the Bible is accurate in everything that it asserts, whether its assertions are related to faith or science. But wait a minute. What if creation did not happen in six days? What if things were created in a different order? Doesn’t that mean that Gen 1 is not an accurate account of creation? No. The best way to understand that is to think of a map. 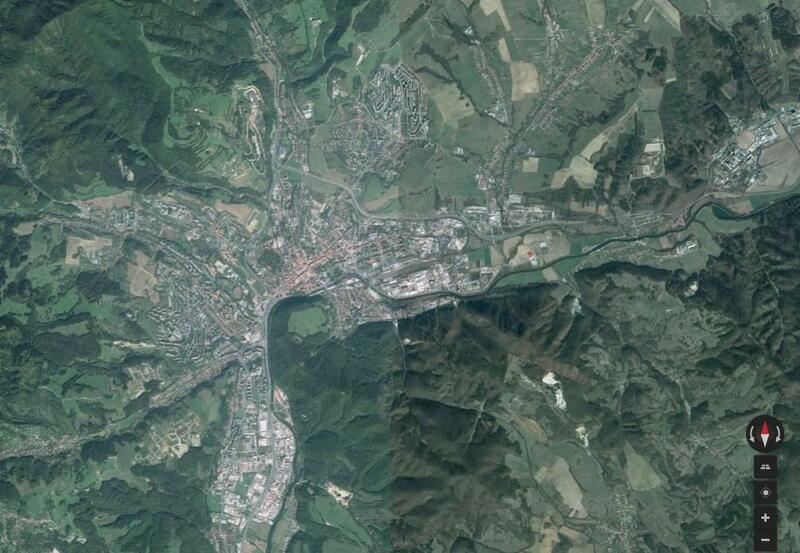 Take a look at this satellite view of Banská Bystrica (the city in Slovakia where I live). This is like a window because it gives me a completely accurate view of Banská Bystrica at a particular point in time in the past. Now take a look at this map of the same city. There is a lot of actual detail that is missing from this view of Banská Bystrica. I can’t see all the trees. I can see that there are trees, but I can’t see the trees. I can’t see hills, I can’t see what the buildings and roads actually look like. In fact, there are some things here that just seem wrong. 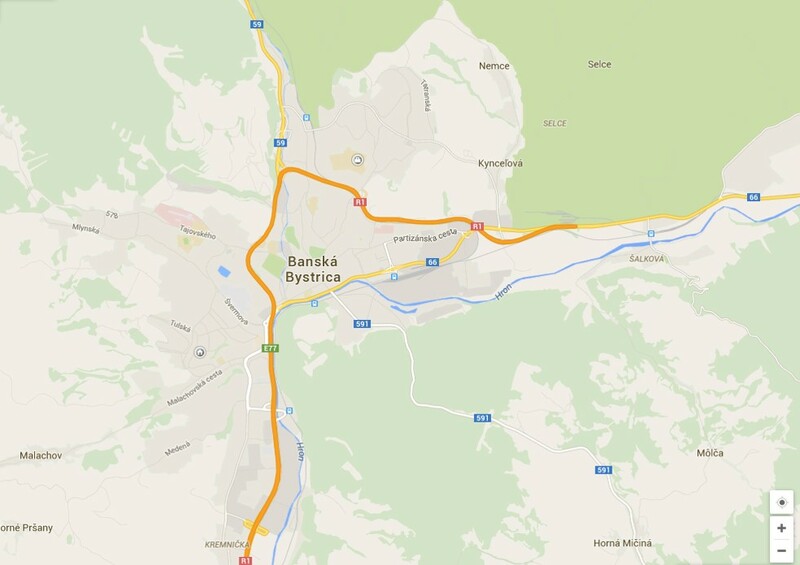 The highway that runs through Banská Bystrica is not orange. It’s gray with white lines and potholes and patches. But would we say that this map is wrong because it uses orange for the color of the highway? No! All we have to do is look at the key to find out that all highways are orange. It’s supposed to be orange because that tells us something about what kind of road it is! In exactly the same way, the Bible is not wrong for putting creation in the order we have it in Gen 1 and it’s not wrong for putting it in a structure of six days. Those may be features of the text that are not there to point to the reality behind the text but to serve to point us to the primary truth the author is trying to convey. For more on that, make sure to check out the next post in this series when we look at the Ancient Near Eastern background to see how it influences our interpretation of the text. Thank you Todd. This is extremely helpful. thanks! i gotta make an argument that the “days” are just poetic, i don’t believe it, but i gotta make a case for it. thanks a lot! Hi Mickey. I assume you are referring to “Let us make man in our image…” in Gen 1:26. First off, Genesis and most of the Old Testament was written in Hebrew (some small parts were written in Aramaic). In Hebrew, the word translated “let us make” is the Hebrew word ‘asa (עשׂה). Sometime in the third century BC the Hebrew Bible was translated into Greek (the Septuagint). This is the Bible used by the early church. In the Septuagint, the word used to translate “to make” is ποιέω or poieo, to make. So basically, yes, in Greek that is the word used in Gen 1:26. Wow. This is way off base. Tell me again how day 3 is the highlight of the first three days? Land and vegetation is somehow greater than “let there be light”? How? There is no movement. Evolutionary creationists need to justify their faulty parallelism so they make up silly stuff like this. There is no parallelism, this is historical narrative. But it tosses evolution out the window. But let’s just say for a moment that Gen. 1 is “days of forming” and “days of filling.” Why can’t it still be done in 6 literal days? I mean, you believe the vegetation would grow for hundreds of millions of years without the sun. That isn’t natural law, that’s miraculous. So why can’t one believe that if plants could grow without photosynthesis, then why can’t God create in 6 literal days? You still have to believe in the miraculous either way. Thanks for taking the time to read and comment on the post. Here’s a couple of points to consider in response to your questions. First, the parallelisms are really there. What I describe as a parallel structure in Gen 1 is a typical kind of construction not just for Hebrew historical narrative but for Hebrew literature and for ANE literature in general. Second, what is “historical narrative?” I agree that this is historical narrative but I probably don’t agree on what that entails. I think there are very good reasons to disagree and it has a lot to do with what the Hebrews thought of historical narrative. For example, the books of Joshua, Judges, Ruth, Samuel, Kings, Chronicles, Ezra-Nehemiah, etc. are all historical narrative and yet they are also very poetically structured. Do you know Dr. Jill Ross at Liberty University? Ask her about the literary features of Judges. You will be amazed. Third, when I say that the text moves toward a climax in days 1 to 3, 4 to 6 and overall from 1 to 6, I’m talking about the structure. That means the length of the text and that means the double creation on days 3 and 6–as I mention above. That doesn’t require us to find vegetation as greater than light. But now that you mention it, what we’re talking about here is an environment for blessing, that is, an environment that is suitable for humanity to survive and thrive in our Holy God’s presence. Light is essential for that and water is essential for that but we eat vegetation and so that is the most direct form of blessing (especially for ANE culture) and a suitable climax to the environment of blessing described in days 1 to 3. Third and most importantly, your most astute question is, “Why can’t it be both literary and historical narrative?” That’s the key question. My answer is that it can be. I point that out in my series on the creation account “The Evangelicals Creation Conundrum” which is a part of another series on “The Evangelical’s Creation Conundrum.” Basically, what I am claiming is that we have here a primary organizing principle other than chronology. I make that more clear in the post I just mentioned. Finally, I don’t believe vegetation would grow for hundreds of millions of years without the sun. I’m not even sure where that comment comes from. I sure do believe in miracles. I believe God created the universe out of nothing! I believe Christ was raised from the dead? I believe Scripture is inerrant in everything it claims (again, see the series on the Creation Conundrum). I just don’t think that this text is necessarily making claims about chronology. I hope that’s helpful. I am putting a sincere effort into understanding this text as Hebrew historical narrative. I’m trying to understand just what claims its making about creation. God’s authority is important to me and that’s what I want to understand. What is God communicating through this text. I think there’s a lot of evidence in the text that point to a meaning that goes way beyond when and how God created the universe. Maybe that’s there. I’m fine with that. But it’s far more important to me that we understand God created us without sin, to live in his presence, under his blessing.